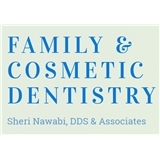 Friendship Smiles (Washington) - Book Appointment Online! All our professionals at Friendship Smiles maintain the highest levels of accreditation and pursue ongoing education to stay on top of the latest trends in dentistry. Our staff is caring and will do the best to help you in any way. She is always kind and professional. Her wait times are short and she is very helpful. I would recommend her to anyone needing a dentist!